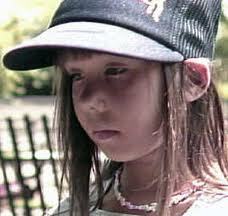 When she was 8, Opal Horton escaped from a kidnapper. Her friend wasn’t so lucky. Now 32, she testifies at a man’s sentencing in the slaying of another girl. CHICAGO — The little girl who got away is 32 now, with two teenage sons. She likes to camp and fish with her family, and she helps her husband remodel their vintage house. But she rarely goes out alone, and hates getting into her car after it’s been parked outside overnight. She is haunted by guilt — guilt that dates from when she was 8. On June 2, 1985, Opal Horton and her friend Melissa Ackerman were riding bicycles on a gravel road in Somonauk, Ill., when a man stepped out of a blue AMC Gremlin and asked for directions. He grabbed Opal, tossed her in the front seat and chased Melissa, according to court documents. In those frantic seconds, Opal scrambled to unlock the passenger door, but the lock had been disabled. She lunged over to the driver’s-side window, jumped out and fell to the gravel, tripping the man, who had returned with Melissa pinned under his arm. Opal ran. Melissa could not. 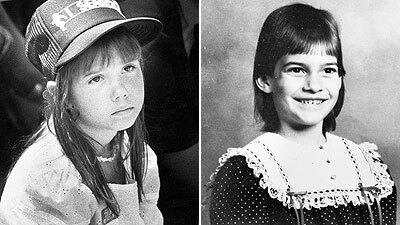 Fifteen days later, a deputy sheriff found Melissa’s body in a ditch — five days after her eighth birthday. Brian Dugan was apprehended and pleaded guilty. Dugan took something from Opal Horton that day, and has never really left her, even as she tries to deny his presence. But today, Horton is a powerful symbol. For parents whose children could not escape, she is the wrenching image of what might have been. For others, she is a chilling reminder of danger and an example of fragile perseverance. Two years before Dugan grabbed Opal and Melissa, he had abducted, raped and killed 10-year-old Jeanine Nicarico of Naperville, Ill. His sentencing for the Nicarico crime is underway, with a death penalty hearing continuing Tuesday. Last week, Horton told her story in court for the first time. She broke down in tears as she walked to the witness stand and struggled to regain her composure. Assistant State’s Atty. Michael Wolfe, who was questioning her, paused twice to keep his emotions in check. When Dugan got out of his car, “he walked closer, saying he couldn’t hear us,” Horton testified. She took deep breaths between questions. After she ran, she testified, she hid in a tractor tire at a nearby John Deere dealership until she heard a car take off. She poked her head out and saw Melissa through the car window. “I waited until I couldn’t see the car anymore. I took off running, ducking so he couldn’t see me,” she testified.